There have been glycerites galore around here lately, and before the summer season disappears completely, let's make one more, luscious, lovely extract with glycerine. 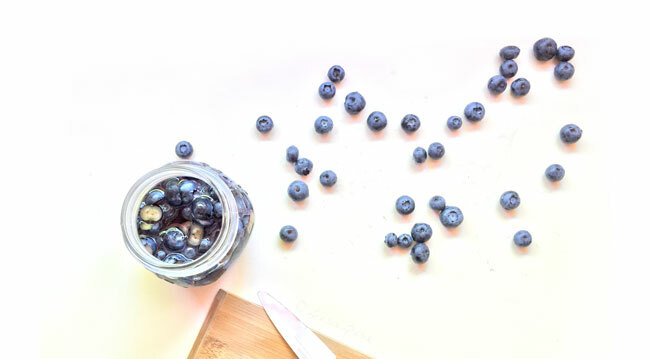 We're getting a bit advanced with this one, because blueberries can be a bit tricky to work with, but you can totally do this, so get out your equipment and let's get busy with blueberries! Figure out how big a portion you want to make, then measure everything by weight. I made a small portion here (because I'm swimming in glycerites these days), so i chose a jar that holds 500 ml. 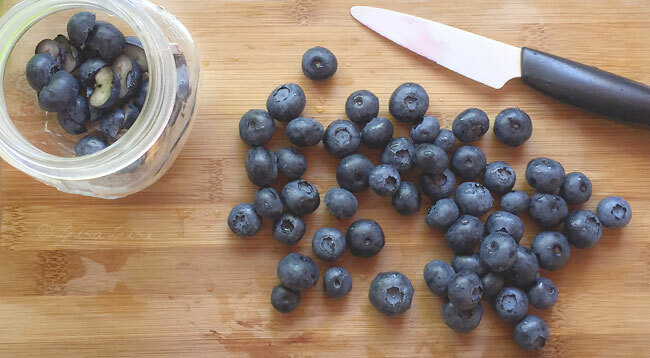 Blueberries can be sneaky. Sometimes a berry getting ready to go wonky will hide in the bunch. 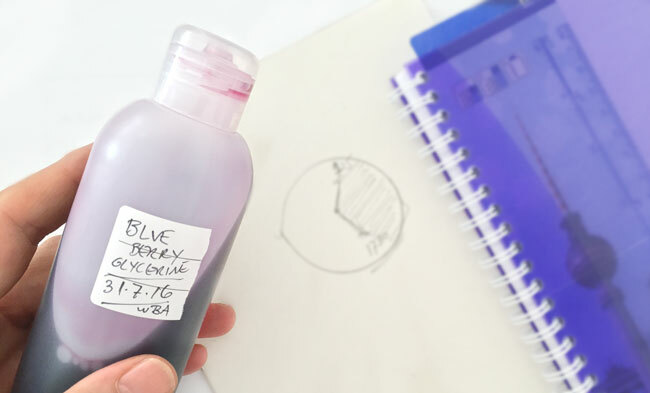 Since we don't want to add any wonky or even semi-wonky berries to our lovely glycerite, every single berry should be carefully examined. Cutting every berry in half will both help max goodness be extracted and allow you to sort through every berry. 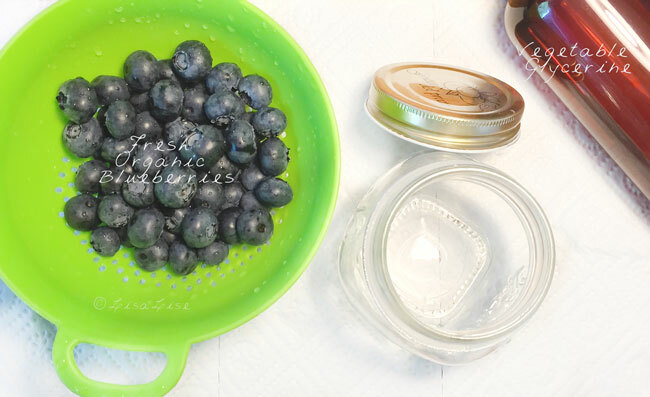 Use only firm, plump berries that are bursting with blueberry deliciousness. Here's a peek at the jar shortly after I put on the lid. One cannot help but fall in love with the deliciousness of the color, can one? 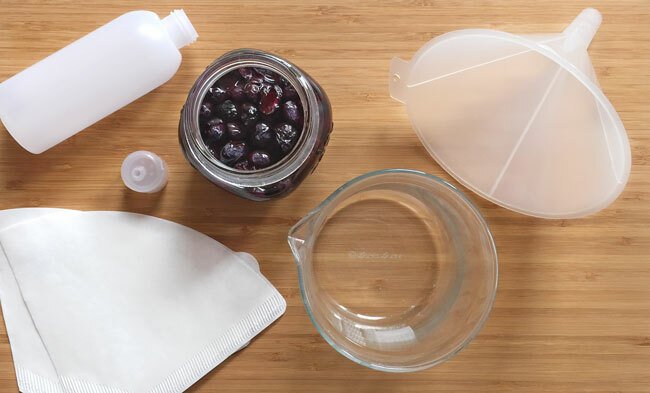 Straining any glycerite is an exercise in patience, so here are a few tips to help ease the process. 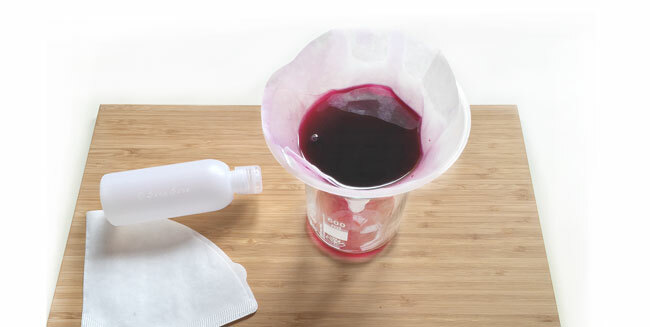 Pour the glycerite into the funnel and scoop out any floating berries (there will still be berries in the filter). 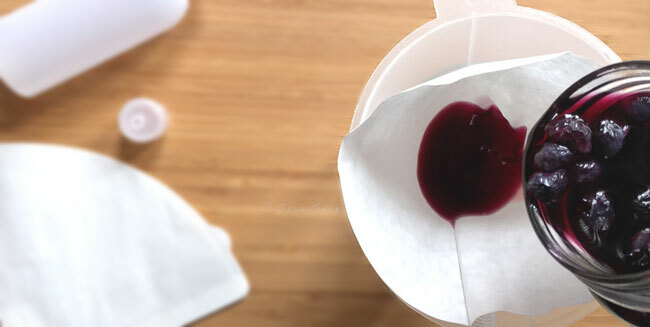 Ever so gently, squeeze the filter you are holding to extract as much liquid as possible. You now have a setup that looks like this: a filter full of glycerite that is slowly running through. They say patience is a virtue. Place your filter/container setup in a completely undisturbed place. Cover it loosely with a 'foil tent' or other material that will keep dust, bugs and everything else undesired at bay. 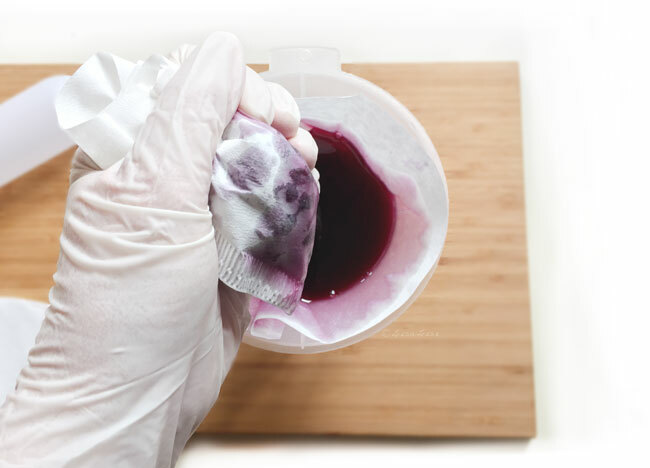 If your glycerite stops dripping altogether, don a fresh pair of latex gloves - CAREFULLY gather the edges of your filter together and lift it out while placing a new filter. Then, EQUALLY CAREFULLY, pour the glycerite from the first filter into the second. If necessary, repeat the above filter-replacement exercise. When the glycerite has finished filtering, transfer it to your bottle. Date and label the bottle. This glycerite took a total of 5 and a half hours to filter through. I did the filter-replacement exercise twice. All about the magic of glycerine and its many properties. I too am waiting to find out what the glycerite will be used for. Hi, making glycerite sounds lovely.. i am wondering what is the shelf life of it and if there is any other paraban free preservative that will work here? Hi Tannu - you touch on a very interesting thing that I have been researching lately - the preservative power of glycerine with fresh food glycerites and whether or not a preservative is even necessary. The shelf life is dependant upon what is added, so I'm afraid you are getting a non-answer from me on this one. 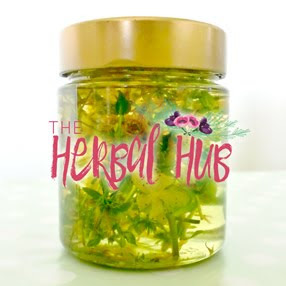 With dried herbs, a glycerite is generally made with no added preservative and has a shelf life of approx 6 months (although you will find some who say they last up to 2 years -- again - dependant on what is added. I have upcoming posts on this very subject. May I ask why you are looking for paraben free? Hi Lise, thanks for replying, I was reading that to make glycerite it's recommended to first soak dry herbs in water... is it possible to make a glycerite without water and directly adding dry herbs? I am going to try that soon. Paraban free is what my customers are looking for. I have loads of people ask me exclusively that they want paraban free. And if there is an option I would prefer that as well. I mainly use optiphen plus for my skincare range. I actually love herbs infusions but always hesitant towards fresh fruits and using herb infusions too due to their hard to preserve nature, made an amazing rose water face cream which had the most beautiful pink tint but it turned brownish in few weeks which was little unpleasant as if i sell them fresh i don't want customers to think its molding because its changing color. Hi Tannu - You need the water in these extracts as glycerine will not function well enough to extract the water-soluble components of the added material by itself. 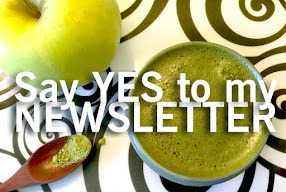 Thanks for answering about the parabens. It is a common thing that people ask for paraben free and this is truly a pity. An entire group of preservatives has had to suffer under scare campaigns that started because of 2 parabens that came under suspicion for being endocrine disruptors. These 2 were pulled from the market in 2009 and to my knowledge are no longer even available.The others were also put under new testing, and one one were again released. 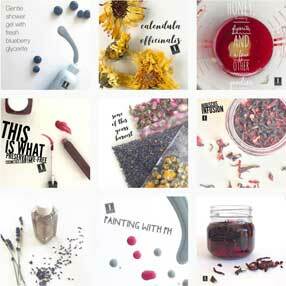 Every paraben preservative on the market today is throughly tested and approved. Parabens are among the safest preservatives and also have the longest track record of use (and testing). Sorry for 'preaching' at you, but I find it truly sad that misinformation about these preservatives has been allowed to take hold in the way it has. We are not only cheating our customers out of tried and tested ingredients, but by dismissing parabens, we are also allowing scare tactics and fearmongering to dictate how we make our products. It's just not fair - to anyone! 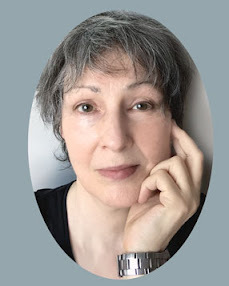 Hi Lise, Again thanks for replying :) you have raised some good points here. With parabans, i really have no issue with them, but there were few reasons I opted to choose not to use them, one there is so much misinformation that initially i got overwhelmed and tried to stay away from something i wasnt sure y i am using it. I found optiphen plus and germall plus as good alternates for most of the stuff i was making. Then realised customers didn't wanted them too and lots of them specifically ask if i have parabans free products. I honestly didn't got too much chance of reading parabans and reaching on a conclusion. I am not against preservatives or unnatural alternates if they are safe to use but because other options were doing just fine I never came back on parabans topic. Glycerine extracts are so versatile! 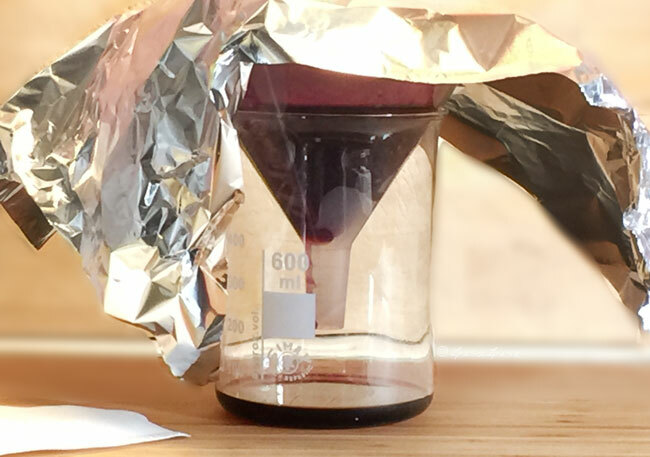 Possibilities are endless, but what I love the most is that you can make a glycerite of (almost) any vegetable and fruit you want when they are just in perfect ripeness, bursting with actives! What about this blueberry extract mixed with a wee bit of strawberry extract and cassis hydrolat? Maria to the rescue!! I asked a friend in Aussieland if she could help but am still waiting to hear. New Directions has a great supply of things. Hi, where in the world do you find benzyl alcohol? I have been searching high and low for it, and can not find it anywhere!! :( I asked on one of the facebook groups I am in, and only got one reply, saying that benzyl alcohol will make the products smell like almonds, but they couldn't tell me where to get it. Soooo that being said, have you noticed the almond scent too? and where can I find this? Thank you Lise! I agree - Maria is the best! Hi Lisa, Good day! 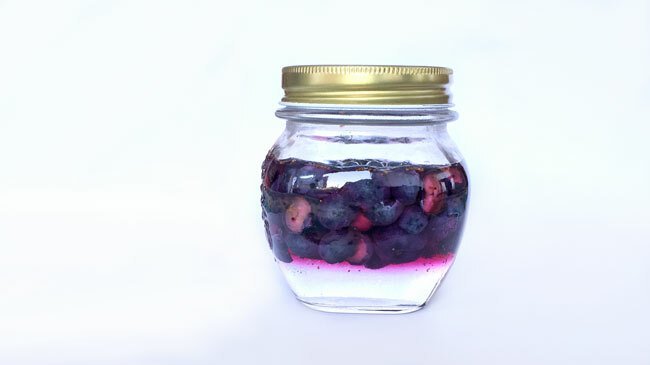 I am making this lovely blurberries glycerite after reading your post. Question that i have is about viscosity. Will it becomes lower the second day? As usually Glycerine is abit higher viscosity but when i tried to agitate the jar in the second day, it has a lower viscosity then the first day. Thea Maya - I look forward to your inout next week :D! I am going to make a white mulberry glycerite, freshly harvested from my own tree! Excited already. Hey there Lu - Ooh that sounds lovely! Have fun!